Zimbabwe 5-146 (Brendan Taylor 49, Hamilton Masakadza 43, Sean Williams 26, Pieter Seelaar 2-9) beat Netherlands 5-140 (Tom Cooper 72*, Ben Cooper 20, Prosper Utseya 2-24) by five wickets. Brendan Taylor led his side from the front with a worthy knock whereas Vusi Sibanda dispatched the last ball six and won the game against the Netherlands. The Netherlands scored 140 runs after losing five wickets in 20 overs and Zimbabwe smashed 146 on the final delivery with half of their side available. 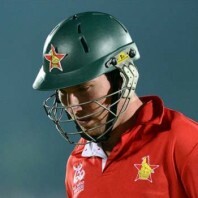 Brendan Taylor, the skipper of Zimbabwe, was declared ‘Player of the match’ for his brilliant batting. The ICC World T20 –First Round, Group B match, was played on Wednesday, March 19, 2014, at Sylhet Stadium. Earlier, the Dutch skipper, Peter Borren, won the toss and went for batting first. Their top order batting crippled against the quick bowling of Zimbabwe and surrendered four wickets for 35 mere runs in 4.3 overs. The Cooper brothers, Tom and Ben , stopped the invasion of the rival bowlers with occasional boundaries. 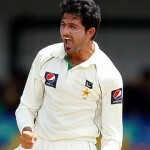 They took the score to 87 when the latter was gone for 20 and the hundred of the innings was witnessed in the 16th one. Tom Cooper attained his second T20 fifty with a four and remained unbeaten for 72 off 58 with 1 six and 9 fours as his team reached 5-140 in 20 overs. Prosper Utseya was the main wicket taker with two whereas Tinashe Panyangara and Natsai Mushangwe shared one each. Zimbabwe lost their opening wicket at 25 in 4.3 overs when Brendan Taylor got together with Hamilton Masakadza. The pair kept the score board on the move and reached 87 as the latter was clean bowled by Pieter Seelar for 43. The next wicket went down without any addition to the total when Sean Williams attached himself to Taylor. The batsmen were keeping a close eye of the target with the assistance of regular boundaries. 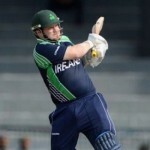 Brendan Taylor became the fourth victim at 126 for 49 off 39 with 1 six and 2 fours. They needed seven runs to win the game in the 20th over and Vusi Sibanda got them through with a big six and piled up 5-146. Pieter Seelar was the highest wicket taker with two whereas Timm van der Gugten and Ahsan Malik held one wicket each. Zimbabwe grabbed the interesting encounter with a margin of five wickets and got two points.